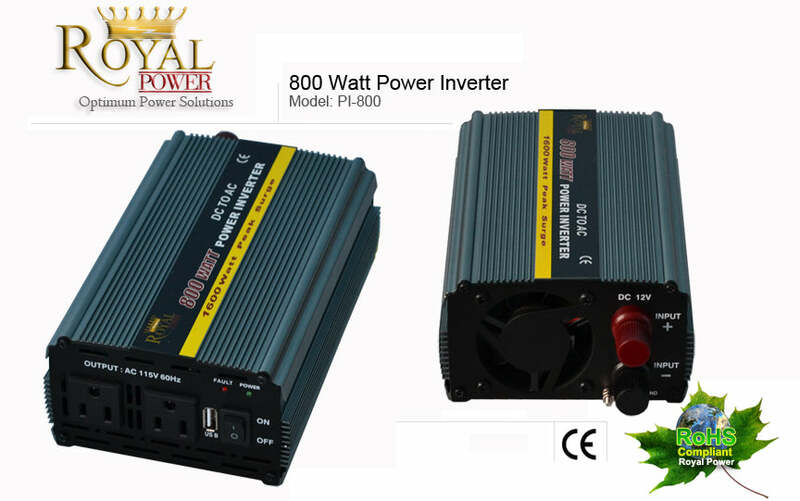 (PI-800) 12 Volt DC to 120 Volt AC 800 Watt Power Inverter is the perfect unit to operate all your small power tools. With over 6.5 amps of alternating current and USB port this inverter can be used to charge laptops and cell phones with ease. The 800 watt power inverter connects directly to any 12 volt battery source and and can operate a large range of devices up to 6.8 amps. TV's, small fridges and ac chargers and a large range of power tools can run off this dc to ac power inverter.